Hip arthroscopy is a minimally invasive surgical procedure to treat femoroacetabular impingement (FAI), labral tears, and hip pain. During the surgery, a small camera (called an arthroscope) is inserted into the joint through a tiny incision. The camera allows for a clear view of the hip ball-and-socket joint. Using arthroscopy, your doctor can confirm your diagnosis and repair any injured tissue. The camera displays pictures onto a screen, and surgical instruments are guided into your hip to repair the tear. What happens during a hip arthroscopy? Your doctor makes two to three small incisions. Tools are placed inside the hip through the incisions. A small fiber-optic camera lets your surgeon visualize the injury and confirm your diagnosis. A shaver, trimmer, or any other device necessary to repair your hip is inserted opposite the camera. Sometimes a third tool irrigates the joint and, if necessary, expands it. Who is a good candidate for a hip arthroscopy? Candidates for a hip arthroscopy are active individuals without arthritis whose groin pain is keeping them from participating in daily activities and sports. An ideal surgical patient is motivated, eager to return to a high level of function, and willing to participate in an intensive postoperative rehabilitation program. Hip arthroscopy patients are typically less than 50 years old. Patients with hip conditions such as dysplasia or osteoarthritis are usually not recommended for hip arthroscopy, although they may be candidates for other types of surgical treatment. What can I expect before hip arthroscopy? What can I expect after a hip arthroscopy? You will need to arrange for someone to drive you home and stay with you for the first 24 hours after surgery. You can expect to need help around the house for two weeks after surgery. You will wear a postoperative hip brace until your second postoperative visit with your doctor. You will be on crutches for a minimum of three weeks. 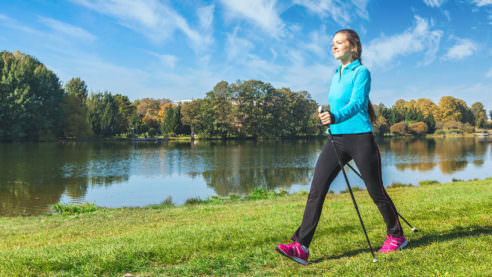 The Summit team believes in physical therapy after arthroscopic hip surgery to return patients to activities such as hockey, skiing, dance, and running. What can I expect while I am recovering at home after a hip arthroscopy? You should rest, ice, elevate, and perform gentle exercises as directed by your doctor. Do not spend an extended amount of time standing, walking, or taking trips up and down stairs for two weeks after surgery. How long will it take to recover from a hip arthroscopy?